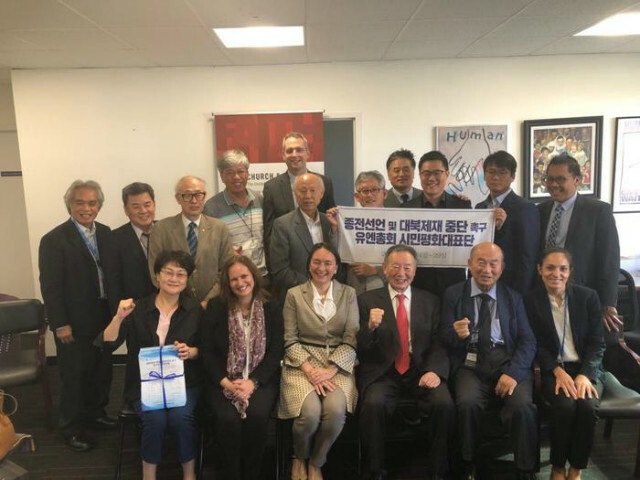 S Korea Peace Deligates from 10 organizations in S Korea visited New York on Sep.24 through 29 in order to campaign peace movement for Korean peninsula. 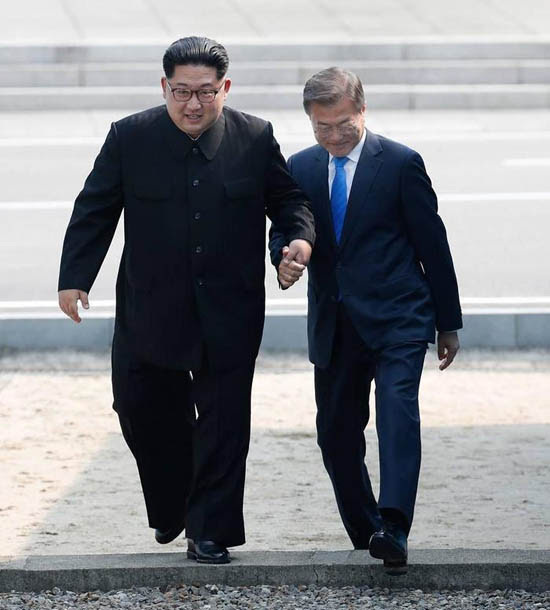 For the permanent peace and denuclearization of Korean Peninsula, it is absolutely necessary to generate momentum in the process of building mutual confidence by declaring an end to the Korean War and interrupting the sanctions imposed against the Democratic People's Republic of Korea (DPRK). 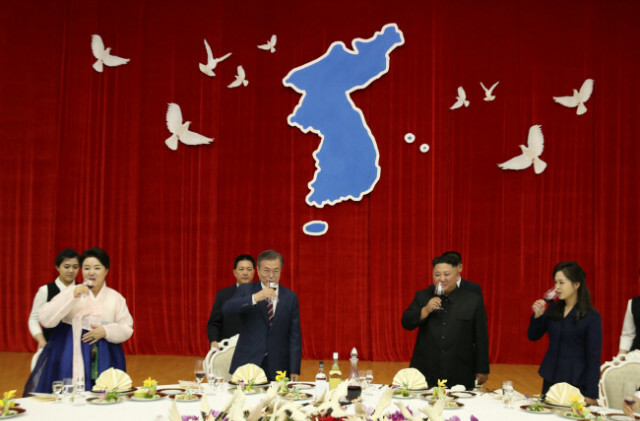 For the permanent peace and denuclearization of Korean Peninsula, it is absolutely necessary to generate momentum in the process of building mutual confidence by declaring an end to the Korean War and interrupting the sanctions imposed against the Democratic People's Republic of Korea (DPRK). However, through the Panmunjom Declaration in April and the Joint Statement at the Singapore Summit in June, the world has made great strides toward "maintaining international peace and security" and "preventing and eliminating threats of war against peace." We are convinced that the improvement and advancement of inter-Korean relations is the first step to overcoming the conflicts of the Korean Peninsula and realizing a permanent peace process. If the Panmunjom Declaration -- which the leaders of South and North Korea committed to carrying out -- is smoothly implemented, it will become the greatest driving force for denuclearization and the realization of a permanent peace regime on the peninsula. But the improvement and advancement of inter-Korean relations face a big obstacle, also known as "sanctions against North Korea." The sanctions against the DPRK fundamentally block personal and material exchanges, in addition to economic cooperation between the South and the North, making it difficult for any further development of progress to be exercised beyond the exchange of talks & research, and declarations of reconciliation. The UN Security Council (UNSC) resolution on sanctions against DPRK stipulates that it is "prepared to strengthen, modify, suspend or lift the measures as may be needed in light of the DPRK’s compliance." Therefore the UNSC should consider alleviating, interrupting (postponing), and abolishing the sanctions. 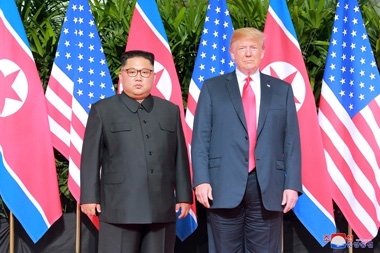 The June 12th DPRK-U.S. Joint Statement is based on the premise that “the establishment of new DPRK-U.S. relations will contribute to the peace and prosperity of the Korean Peninsula and of the world, and recognizing that mutual confidence building can promote the denuclearization of Korean Peninsula." Again, the key word is “mutual confidence." In this respect, we desperately urge the support and efforts of the United Nations Security Council to put forth a "Declaration to End the Korean War," which will provide a path to mutual confidence between the DPRK and the United States.  representatives of citizen organizations for peace process in the peninsular.